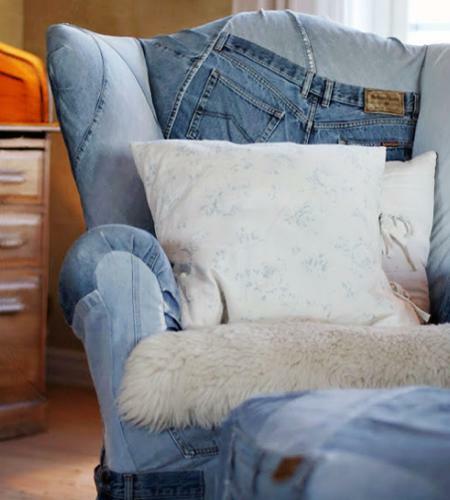 Blue jeans provide a nice material to recycle for crafts and home decorations. 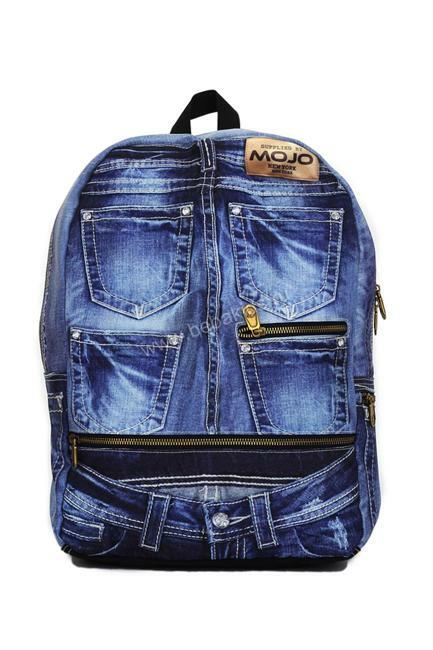 Denim blue color and texture are modern interior trends, and smart recycling helps give new life to old jeans while making beautiful home organizers, tote bags for storage, table decor, lamp shades and decorative pillows with this wonderful material. 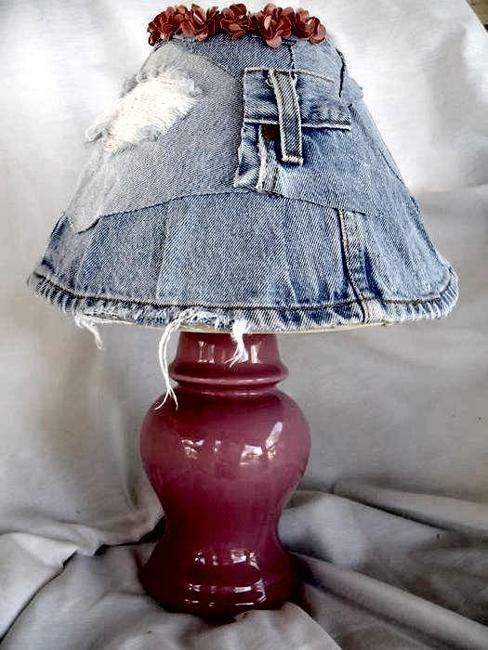 Decor4all shares a few great ideas demonstrating modern ways to recycle for crafts and new decor accessories. 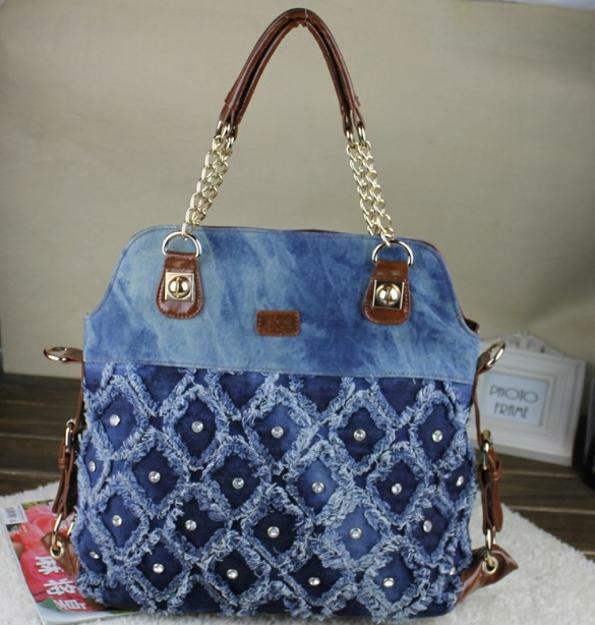 Blue jeans fabric is beautiful. 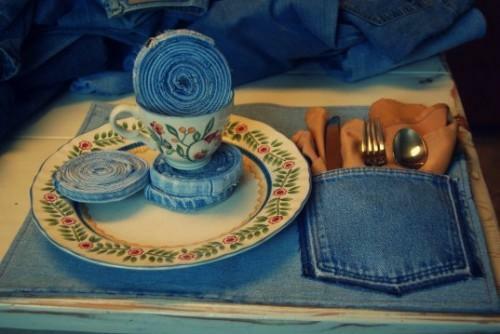 Who can ever deny the attractiveness of small items made with denim fabrics? 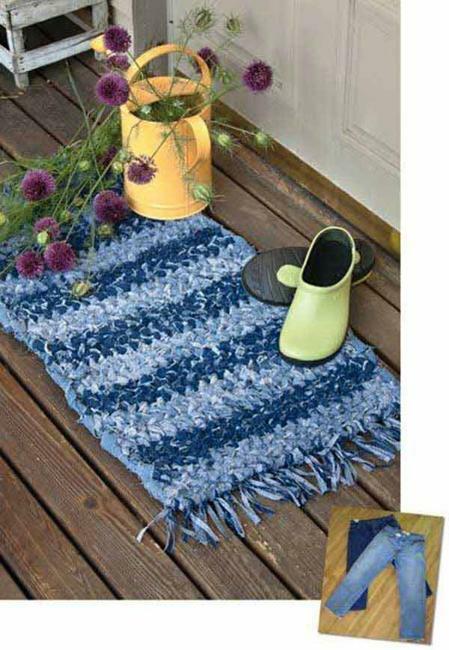 Handmade of denim fabrics bags and pot holders, chair covers and pillows, wall organizers and floor rugs look beautiful, unique and stylish. 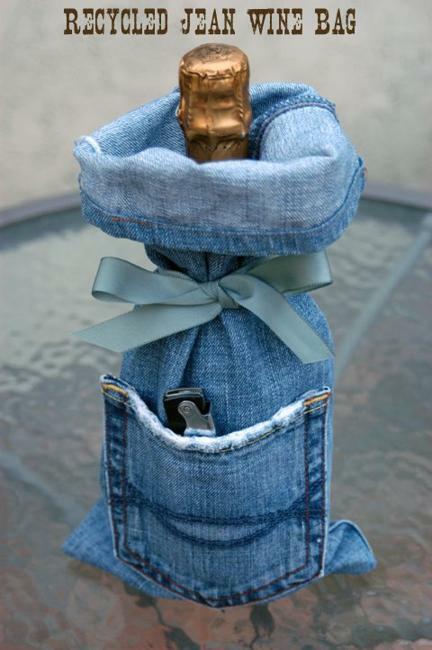 Recycling old jeans for crafts and home decorations is a solution for your problem of utilizing blue jeans that you can not wear. 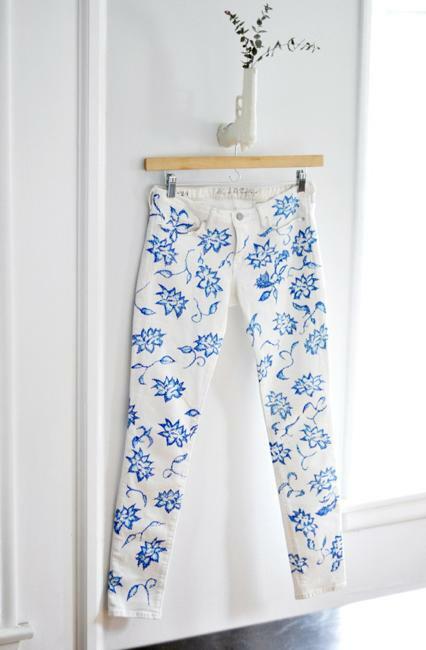 Creative ways to recycle and making crafts are fun activities. 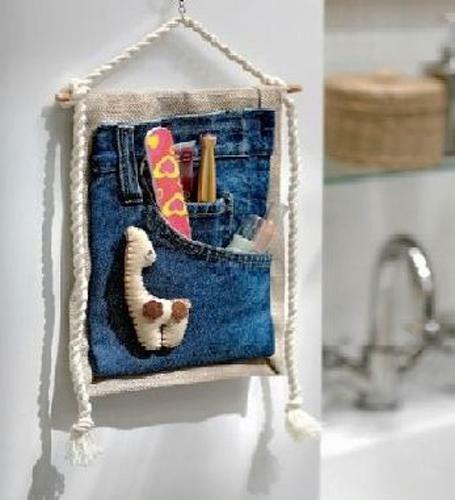 What can be better than utilizing your old jeans to make stylish, functional and modern home decorations or interesting crafts and eco gifts which are cheap and unique? 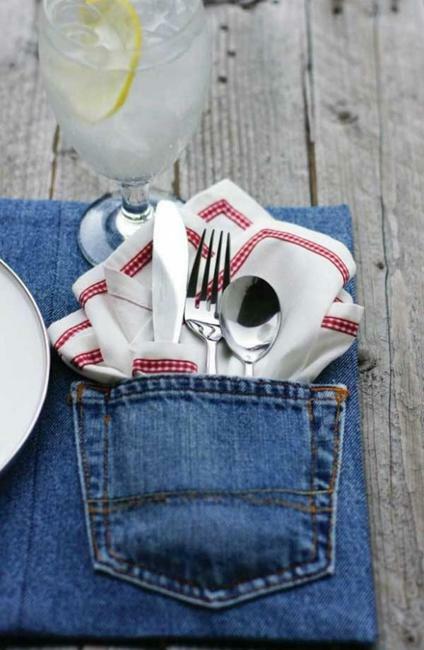 Denim fabrics strongly stand up to the rigors of functional items and decor accessories. 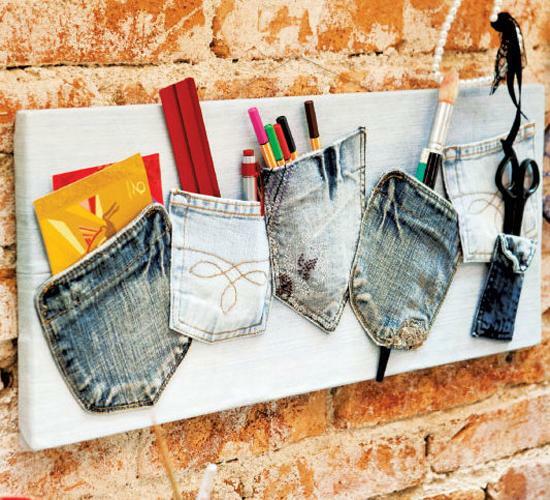 Things made to recycle old jeans work well for kitchens and kids rooms, office designs and family room decorating. 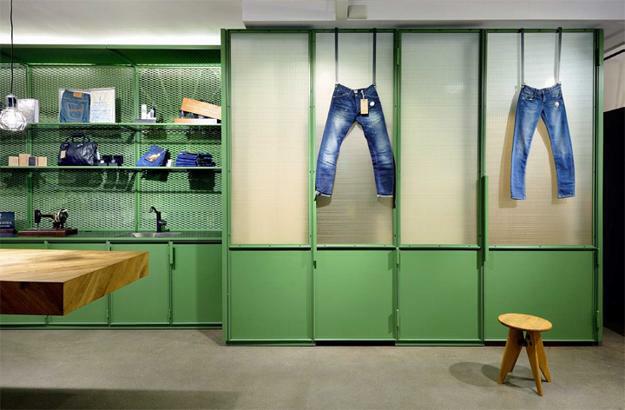 Denim fabrics can be combined with fleece and lace, enhancing modern interior trends by adding various textures and colors to room decorating. 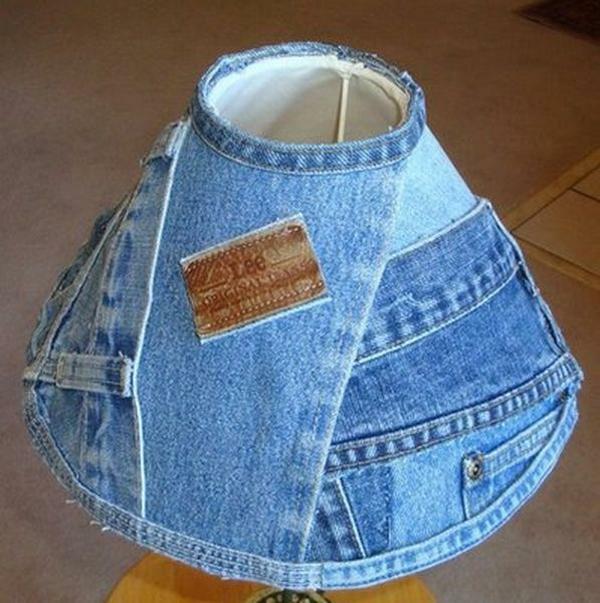 Denim quilts and lamp shades look amazing in modern homes, mixing handmade design with stylish interior decorating ideas. 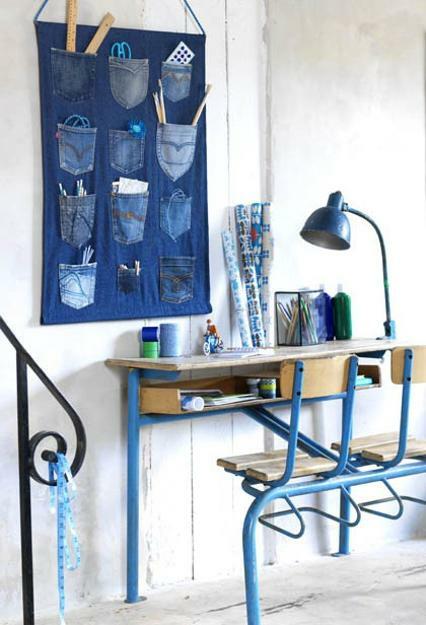 Denim interior trends call for texture, so you can use seams and pockets to add fancy details to your handmade designs, home organizers, crafts and home decorations. 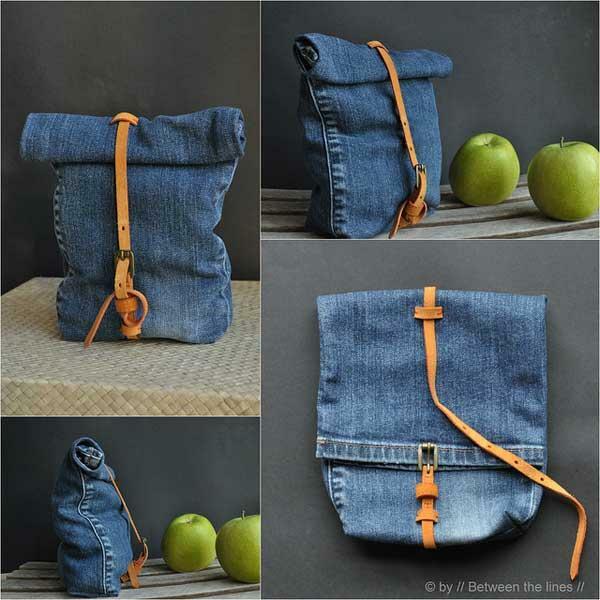 Gold-thread seams and small pockets give wonderful accent to the denim items.